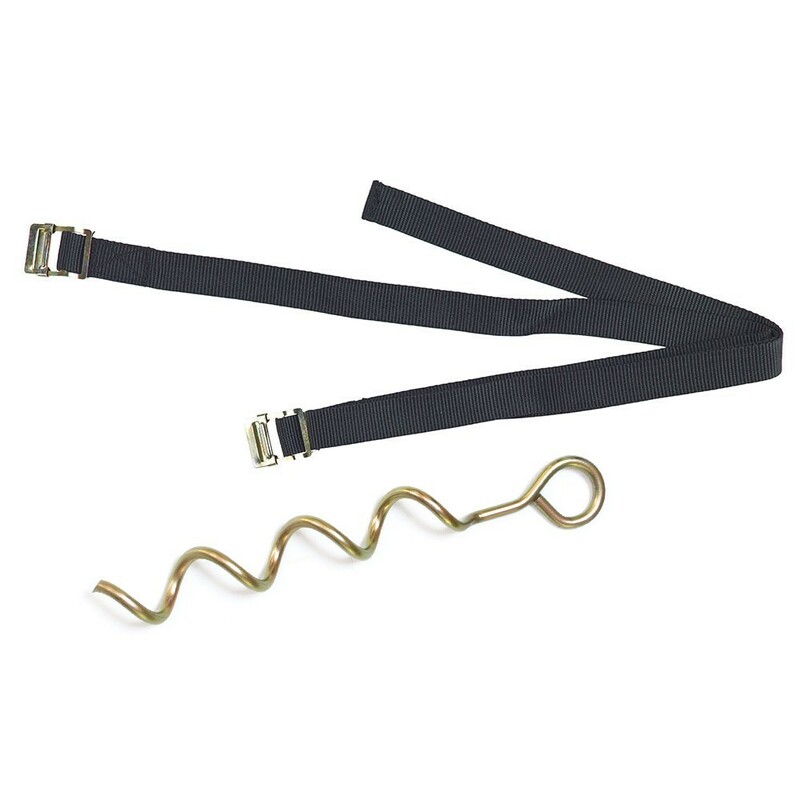 Anchoring kit for recreational trampolines. 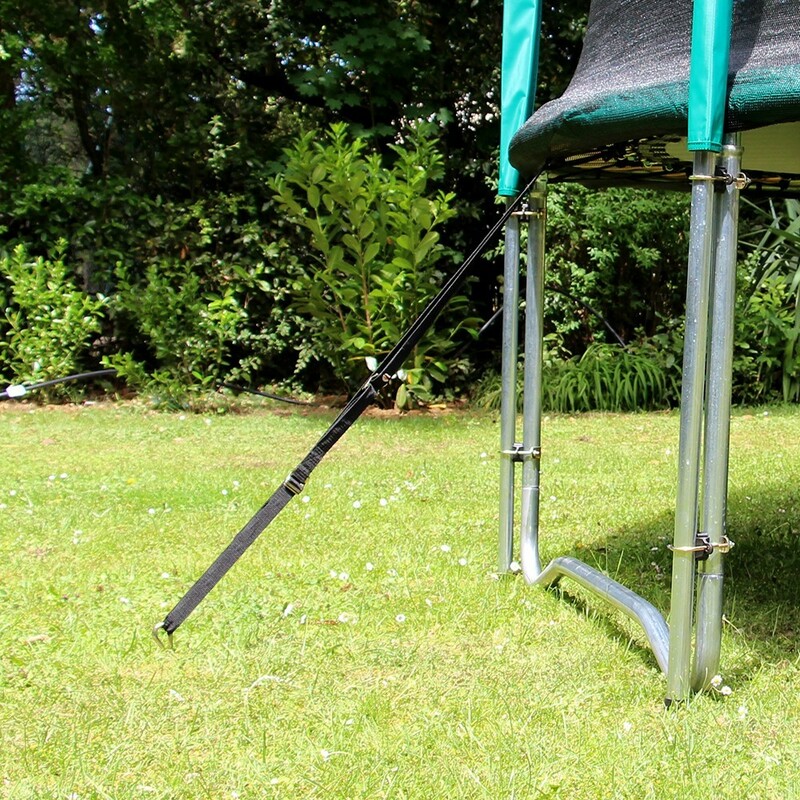 This anchor kit will allow your to attach your trampoline firmly to the ground, using specially designed straps that go around the foot of the trampoline and the circular framework. This anchoring kit not only holds the feet of your trampoline in place but also holds the galvanized steel framework to the ground. Your trampoline will be safe, even if there are high winds. 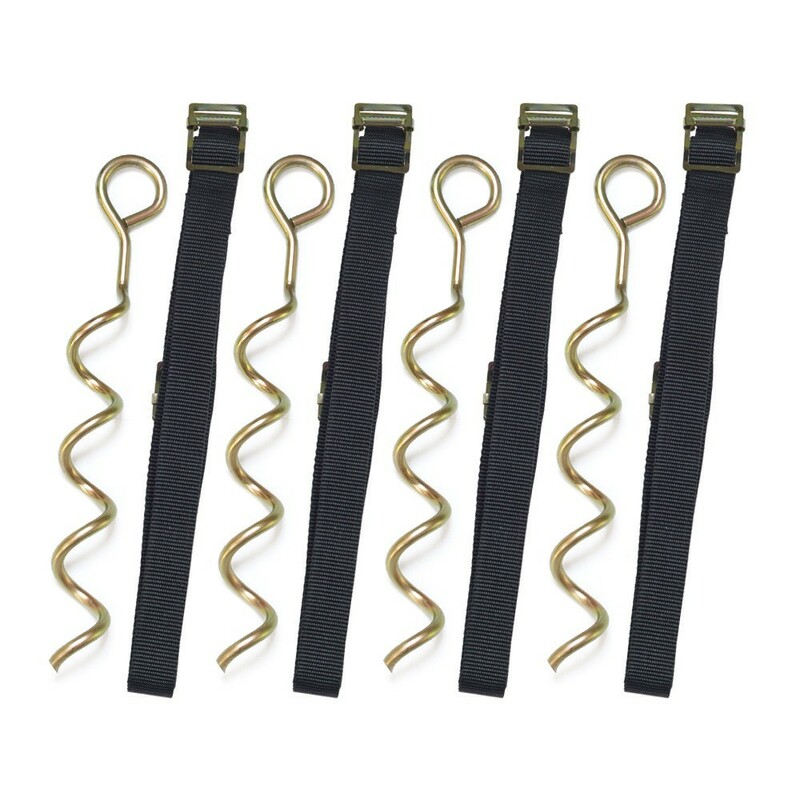 - The anchoring kit has 4 fabric straps and 4 winged screws for a strong and efficient hold (3 straps and 3 screws for the 250 and 300 models). Your trampoline will be solidly fixed to the ground. 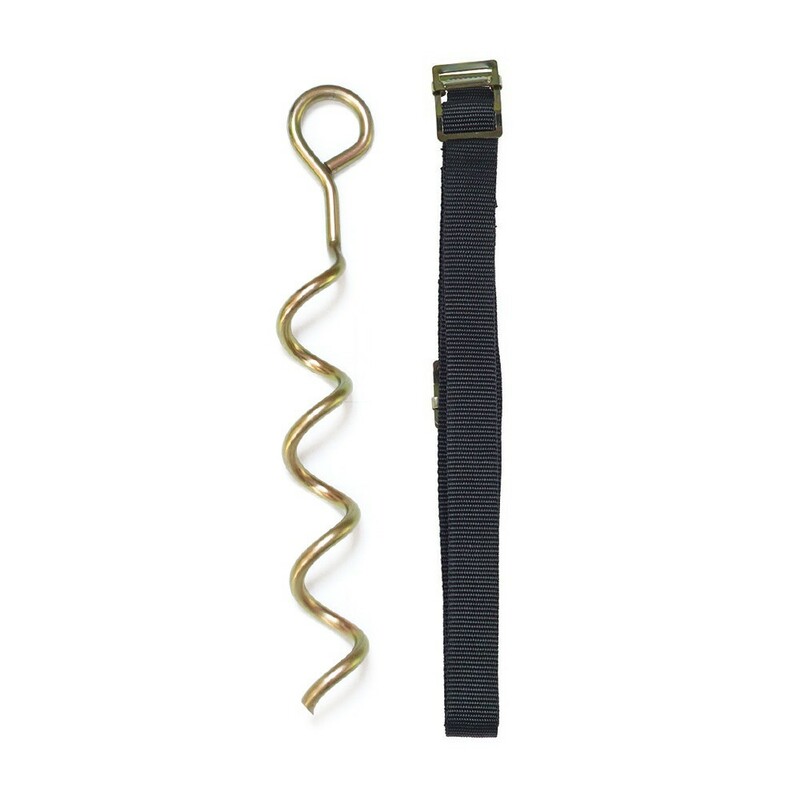 - The screws must be solidly fixed into the ground to hold the strap in place, in case any vertical pressure is placed on the trampoline during high winds. - It is highly recommended to use this fixation kit to avoid any risks of it flying away or moving around on the ground. It can be useful in any region where there are high winds. Even big and heavy trampolines need anchoring, as the pressure from the wind is increased due to the large surface area. Using this kit becomes even more essential. Using an anchoring kit will not guarantee 100% that your trampoline will stay in place, especially if the weather is extreme (storms and very high winds). If these weather conditions were to occur, we would highly recommend removing the jumping mat, the frame pad and the enclosure to decrease the surface area and keep your trampoline in one piece. Tres pratique de « visser » dans le sol.